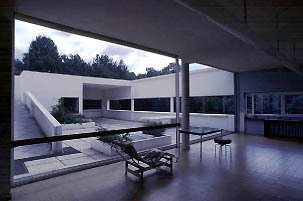 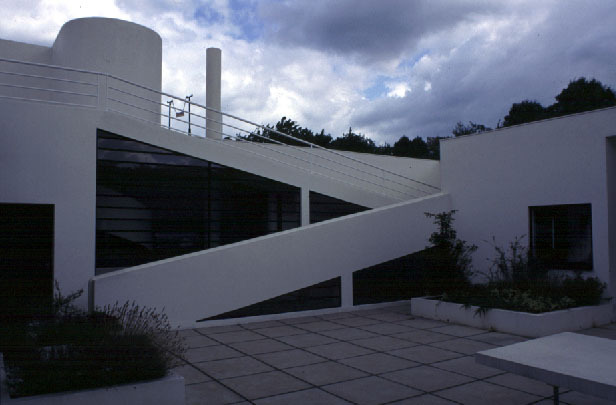 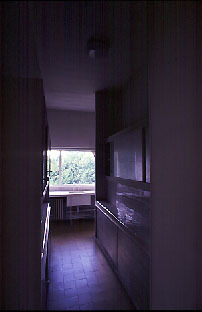 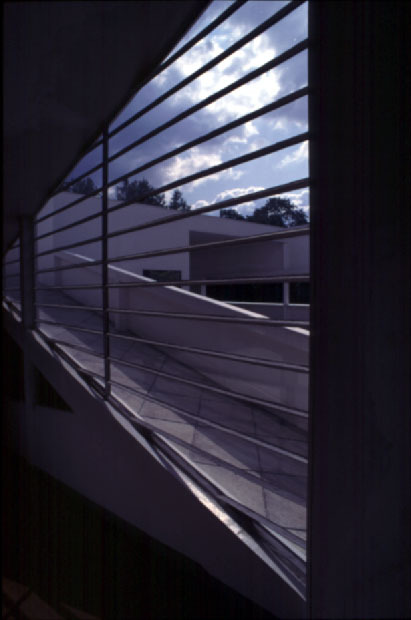 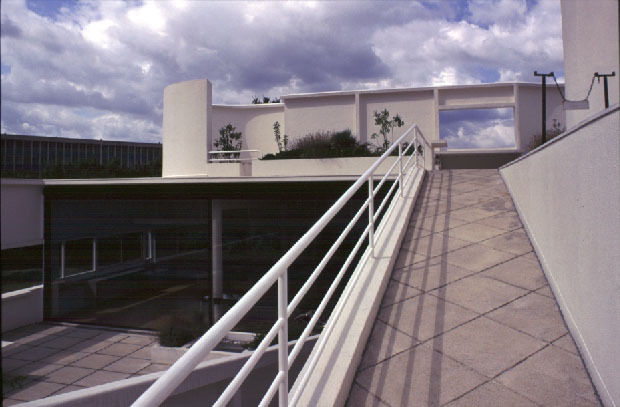 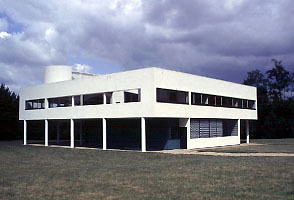 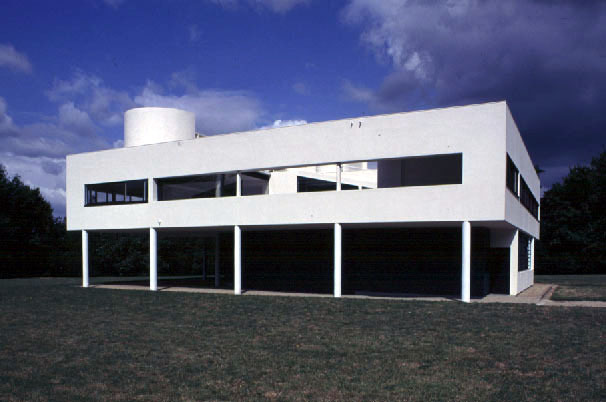 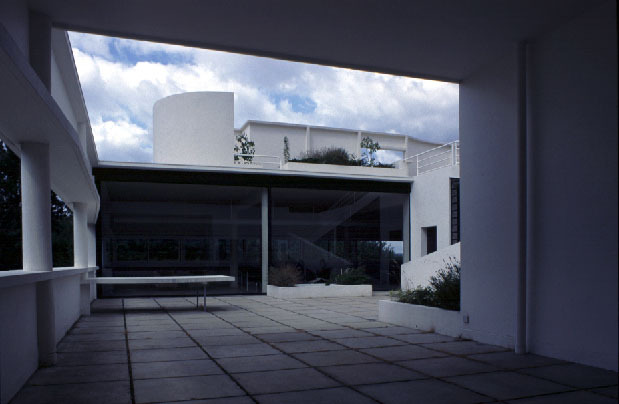 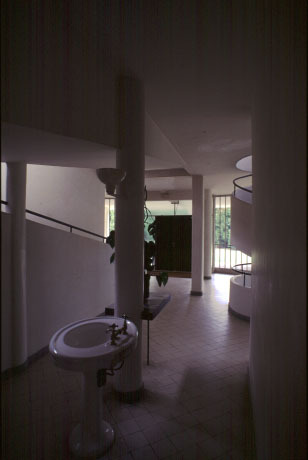 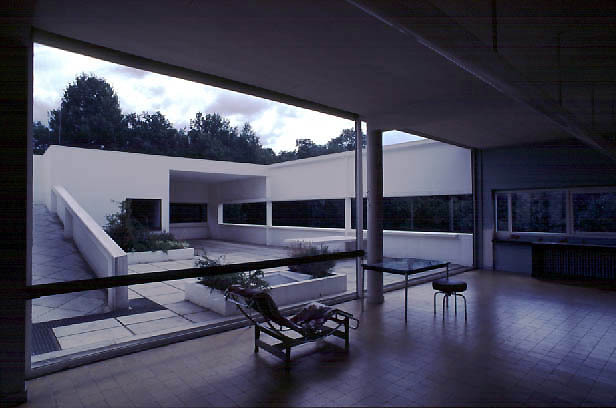 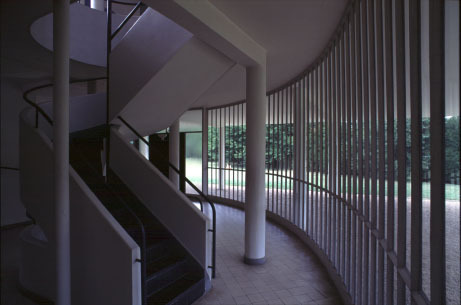 The Villa Savoye in Poissy is a major work of Le Corbusier, associated to his cousin Pierre Jeanneret. 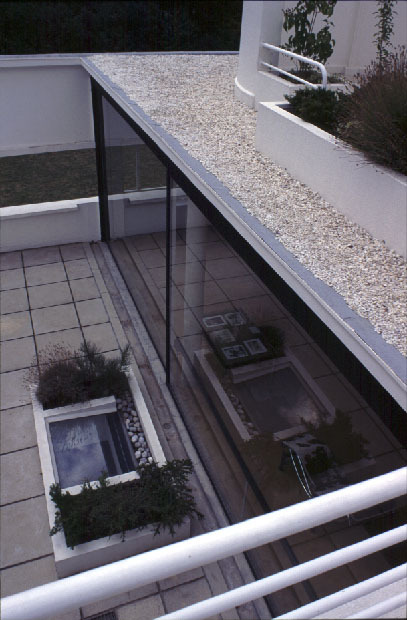 a roof garden : the terrace, accessible, is a place to live with. 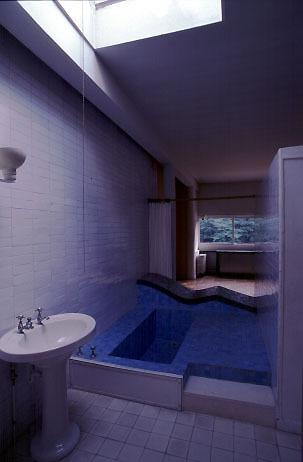 Click on any thumbnail below to see an enlargement (30 to 80 Ko). 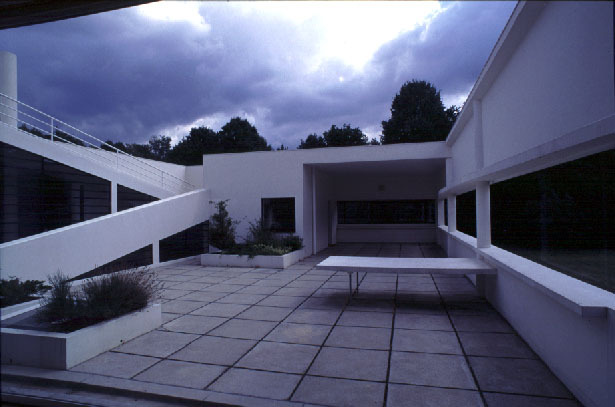 Mr. and Mrs Savoye (the husband beeing a Parisian businessman) contracted this villa, " les Heures Claires ", for their dwelling. 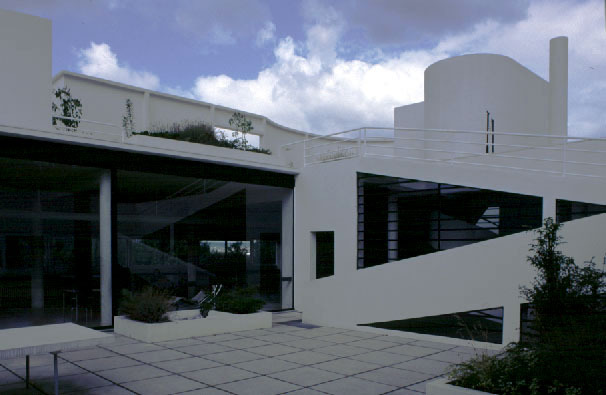 The construction took place in 1928/1930; the estimated cost was exceeded and some short-cuts happened. 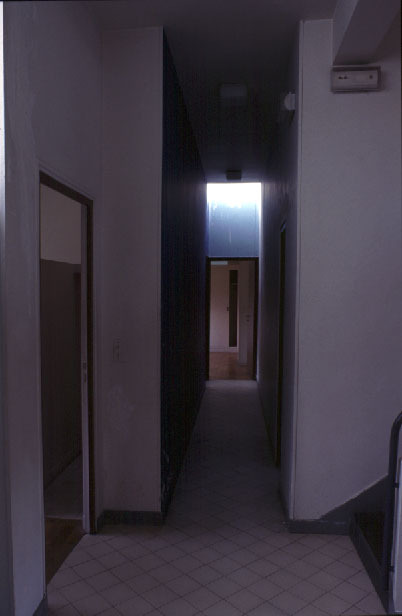 A few time after construction, disorders appeared, in particular sealing, difficult to control with the terraces and the windows outcroping the walls. 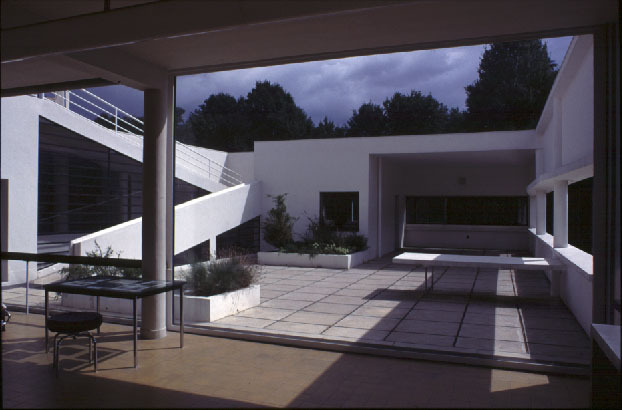 Due to these disorders and some fortune misfits, the Savoye family left the villa, which remained unoccupied. 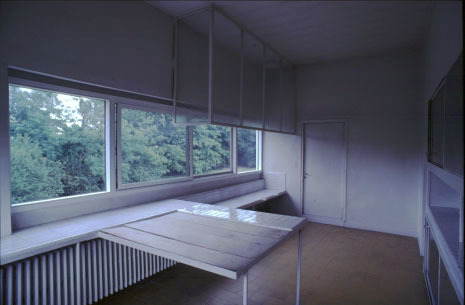 Purchased by the public local authorities, its fate remained a long time dubious and degradations were accentuated. 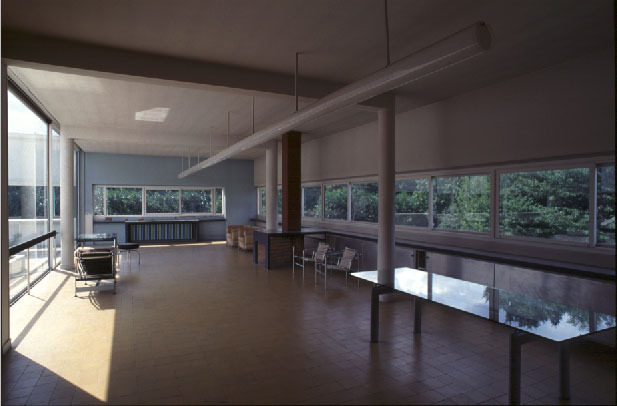 Renovated and saved from ruin, we are today lucky to visit it, whereas generations of students in architecture had to satisfy of studying it only on plans. 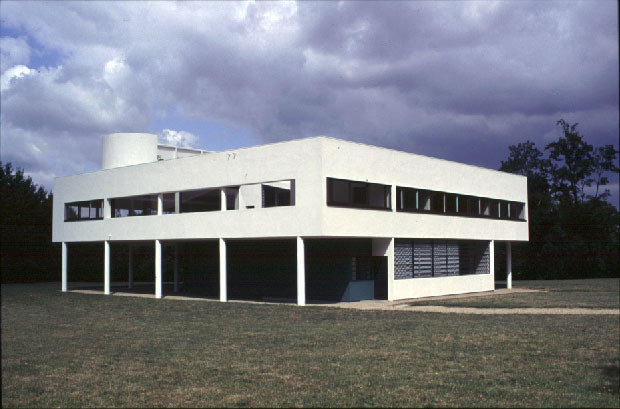 Le Corbusier, der Architekt a very comprehensive site by Hermann Kühn from the Technische Universität Hamburg-Harburg, University Library. 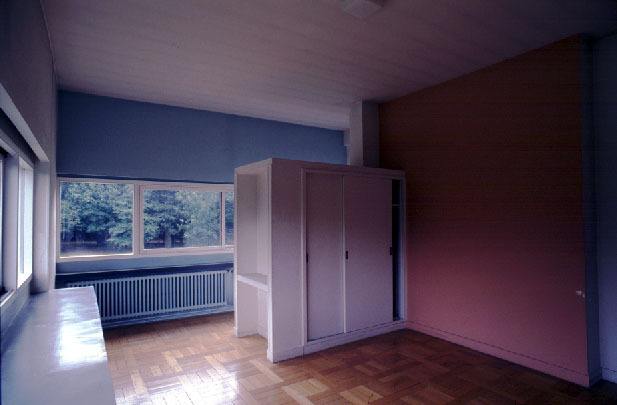 In German, but a must, even if you don't speak Goethe's tongue (neither I do).